For most of the season, the fears have been out there. 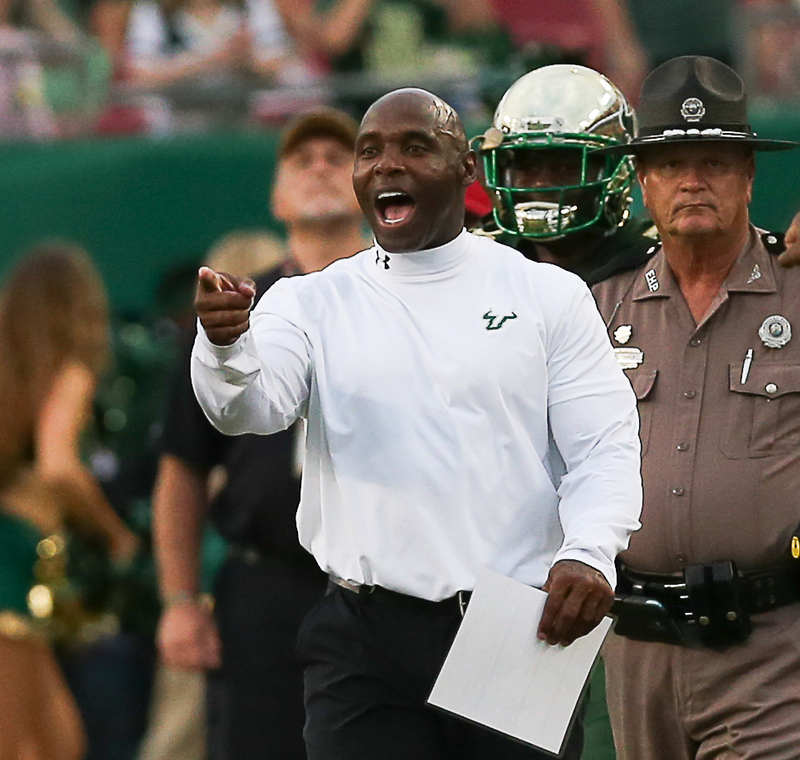 For most of their journey, the USF Bulls were living on borrowed time. Saturday, the porous defense of the Bulls finally caught up with them. the Cougars to convert 15 of 19 third- and fourth-down plays against them. They gave up 35 first downs. And it never could corral quarterback D'Eriq King, who threw for 419 yards and five touchdowns and ran for 134 yards and two more scores. It was the kind of defensive collapse that has looked to be coming for most of the season as the Bulls struggled to beat Tulsa, UMass and UConn. Now, with Cincinnati, Temple and UCF ahead, the question is just how hard the Bulls will fall. "It was just totally embarrassing," Strong said. "We're a better football team than what we showed today." USF moved the ball well enough. Blake Barnett -- who had an interception and a fumble -- threw for 263 yards and running back Johnny Ford ran for 106. But Houston never let up on the gas, scoring twice in every quarter. The Bulls trailed 43-36 after three quarters. "You can't give up five touchdown throws" Strong said. "When you play on the road and you play a really good football team, you've got to be able to get turnovers and you can't turn the ball over. And it's hard to match scores and it's hard to just play catchup, and that's all we did." The Bulls are home against Tulane Saturday. The game begins at 3:30 p.m.